We still look to be on target for an early apple Saturday on September 6 for Zestar, Sansa and Ginger Gold. There is a small crop of Zestars, so they will probably sell out the first day. We will open for our regular season around Sept 11 with McIntosh, and Gala as well as the earlier varieties. Watch for updates. Honeycrisps will be later in September – they are looking good. Apple crop continues to look good – attached photo shows some very nice looking Fujis. 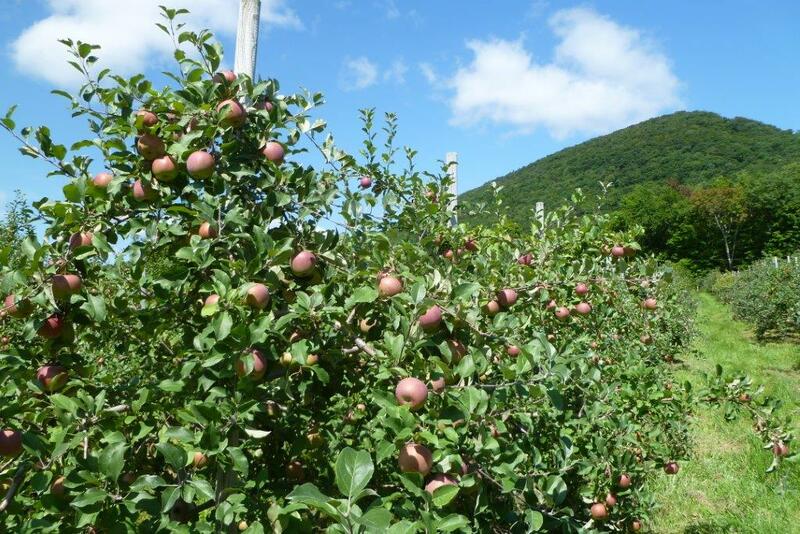 When fruit will be ripe is always hard to predict – Early apple Saturday for Zestar, Sansa and Ginger Gold will probably be September 6 and then we will most likely open for our regular season on Thursday September 11 with McIntosh, and Gala as well. 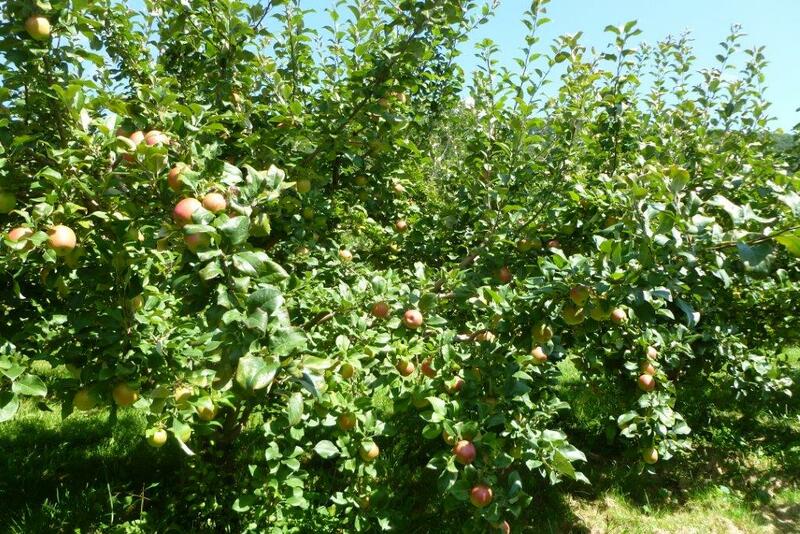 Apple picking will start mid September – there will be an early apple Saturday for Zestar, Sansa and Ginger Gold a week before our full time opening. I will post dates when we see how soon the apples are ripening.